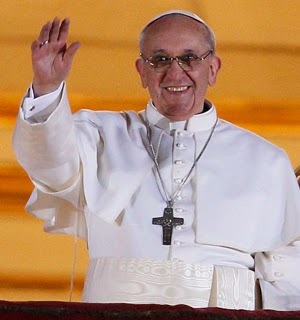 It has now been a year since Pope Francis was elected. Pope Francis has enhanced areas of the church where service and humility have taken to the forefront. I ask that we all continue to pray for Pope Francis as He leads the Church in the world today. May the Holy Spirit guide Pope Francis and watch over Him. Until tomorrow, God Bless, and always remember Pope Francis, Our Priests, and Religious in your prayers.